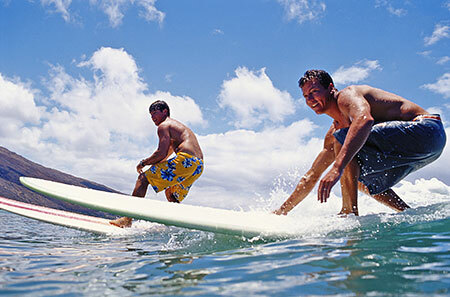 Learn to ride the waves and enjoy the rush of surfing in Hawaii, where the sport was invented. Everyone is guaranteed to Surf!! We supply booties, rash guards and expert instruction. We start with a land lesson and get approximately 1 1/2hours in the ocean. 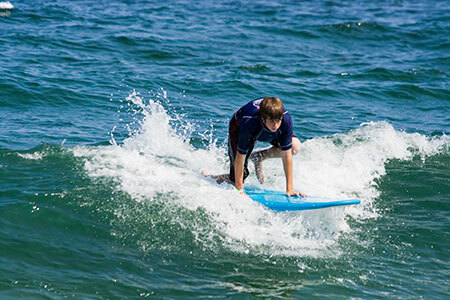 We recommend surfers that are 8 and under to have a semi-private lesson with a family member or friend, or a private lesson, on their own. Activities need to be booked in advance by calling the concierge at 808-875-4100. Please be advised that reservations must be cancelled 24 hours before the activity to receive a full refund.